The Bull Run in Shirley, MA., has become a focal point for entertainment in Central Massachusetts, and is a full service, farm-to-table restaurant in an authentic 1740's era tavern. We feature local performers as openers and national as well as international acts as headliners who draw audiences from across New England to this historic venue. Recent performers include legends such as Dr. John, Leon Russell, & Levon Helm; jazz greats such as John Pizzarelli; folk legends John Sebastian and Tom Rush; well-known blues acts Johnny Winter and Johnny A; and rockers Blue Oyster Cult and Dave Mason. We feature cabaret and showtunes in our piano lounge, weekly trivia on Thursday, Celtic sessions each Wednesday, and an independent music series featuring emerging artists called Bull Run Soundstage. 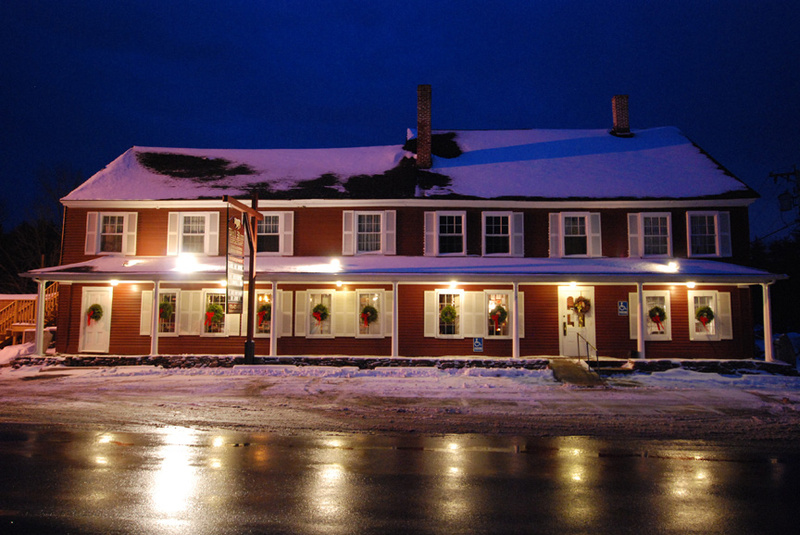 The Bull Run is family owned and operated since 1946 by the Guercio's of Shirley, MA. Come visit our cozy pre-Revolutionary War era Tavern Lounge with back to back roaring fireplaces, authentic atmosphere and the one-and-only Egopantis hanging above our mantle. The Bull Run offers two dining options, a meal by itself in a quiet, 18th century room, or with entertainment, in either the Ballroom or the Sawtell Room. Private function rooms are also availble.